Fun Comedy Night for the Women of Lake Geneva! Can't wait! 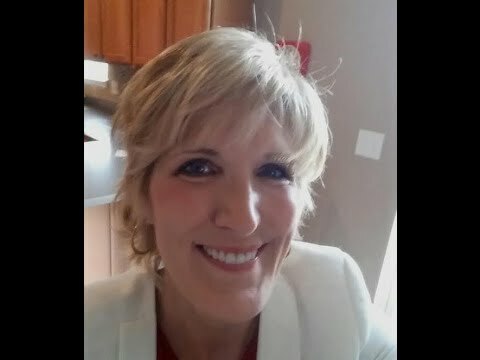 Sally Edwards will make your event soar! An award-winning comedian and five-star author ("Comedy Mom! "}, Sally delivers clean and hilarious humor ideal for all audiences. Sally is a favorite at Zanies Comedy Club and corporate events. Sally makes her audience laugh to tears! Each show includes audience interaction, music and participation while Sally customizes her show to your group. Your event will be forever memorable! Television appearances include Showtime's "Comedy Club Network", A&E's "Comedy on the Road," and Comedy Central. Call Today! Ideal for Holiday Parties! We had Sally as our keynote speaker for our Administrative Professionals Week Luncheon. She was so much fun! She engaged the 50 participants and had everyone laughing and enjoying the presentation. She arrived in advance and was very organized and had everything set up to go when it was time. Thank you, Sally, for a memorable day! Sally is amazing and delightful! My family and I were in a pinch following some unfortunate events, and were in need of a host for my Bridal Shower. Sally was so patient and lovely, she took so much time beforehand with my mother and I so that we could get to know each other. What a gem! She brought fun, light, and laughs to a diverse crowd and helped make my Shower flow seamlessly. Her comedy is relatable, and she is a genuinely kind person. Thank you Sally, we won't forget it! We Laughed So Hard Our Cheeks Hurt! Sally Edwards delivered the funniest clean material! The women of our church laughed so hard that it made our cheeks hurt! Sally is hilarious and we could really relate to her material. Thanks so much for such a fun and funny event! The members of the Women's Club of Lake County are still talking about your performance. Hope you'll come again! Private Party - A Success! Thanks to Sally Edwards to making my best friend's 40th birthday something so special and memorable .... and best of all - funny! Brought joy and laughter to our patients! Sally was a pleasure to have during our Lunch and Laugh we hosted for our cancer patients. She talked about the funnier aspects of husband wife relations, family, and aging...things everyone in the audience could relate to! The audience participation was a hoot as well! You Can't Help but Love Her! As the Director of the Energee Center Comedy, I have hired Sally Edwards numerous times. She always draws a crowd; people love her down-to-earth personality and how she relates to them. I think that's what makes her so special. she has the ability to read the crowd, relate to them and has them laughing so hard they have tears in their eyes. It is always a fun night when Sally is performing, you can't help but love her! Hilarious and clean humor too! 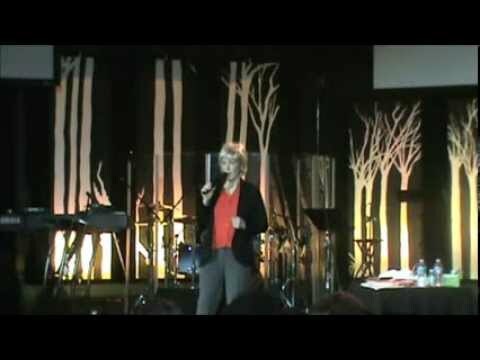 A real delight to have Sally Edwards perform for our women's group in Naperville. We had so much fun and so many of our members made a point of telling us they the show. Thanks Sally for making us all laugh! Sally was a delight, she had so much energy and all our ladies enjoyed her humor and the fantastic material/personal interaction of our ladies was perfect for this event. 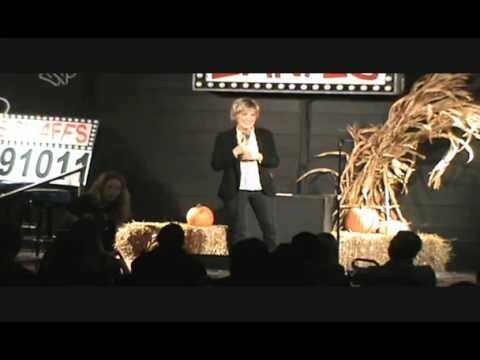 Sally Edwards is one of the most requested motivational speakers and comedians in the country. 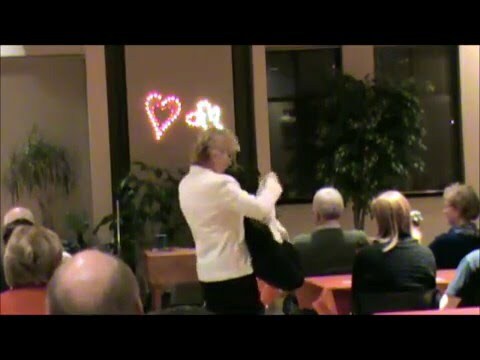 Sally's inspiring and hilarious show "Laugh to Wellness" is completely entertaining and motivating as she demonstrates how laughter affects health. Shows can be customized to your audience and performances are interactive. National appearances on the Arts & Entertainment Network and The Showtime Comedy Club Network spotlighted Sally's motivating humor which is both hilarious and clean! If you're looking for upbeat, funny and inspiring presenter you are guaranteed a night of motivating energy with Sally Edwards! Call now to guarantee an event your guests will love and remember. Sally Edwards is a top-notch comedian whose material is fun and ideal for all ages. Sharp humor, music, prizes and all around fun describe a comedy performance that will leave you wanting more! A Zanies Comedy Club favorite, Sally has appeared on A&E, Showtime and HBO. You're event will be complete with a load of fun with Sally! 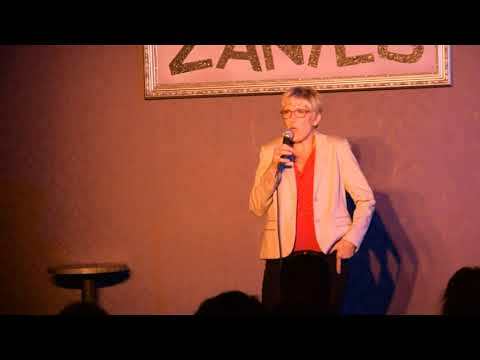 Comedian, Sally Edwards, spent her teenage years at an all-girls boarding school in a northern suburb of Chicago, IL. Witty and outgoing by nature, Sally Edwards hoped to one day take her original ideas and humor to the stage. Naturally funny, Sally always has a great laugh and smile. A graduate in Psychology at Denison University in Ohio, Sally discovered her true passion in her hometown of Chicago the day she walked through the doors of Chicago's famous entertainment venue - Second City - the legendary training ground for comedy and improvisation. Second City is the home of many of the alums of Saturday Night Live. Performing on stage at Second City, Sally Edwards' clean humor resonated with audiences! Two years of brilliant direction at the popular venue prepared Sally Edwards to take the next step towards her goal of performing solo. Zanies Comedy Club, just a block away, features the best and brightest of performing artists, humorous speakers and comedians. Sally Edwards walked down Wells Street in Chicago on a warm autumn night and performed her first stand-up set on the legendary stage. That first time performing alone on stage generated the impetus to climb towards a very successful comedy and entertainment career. Now Sally promotes laughter and it's awesome effects on health and well-being with a brilliant performance that audiences remember for years to come. (1) A small table on stage covered with a table cloth. (2) A small table off stage for book signings. Thank you, Sally Edwards, for last night's show at Trinity Episcopal Church! I laughed so hard my cheeks hurt! !